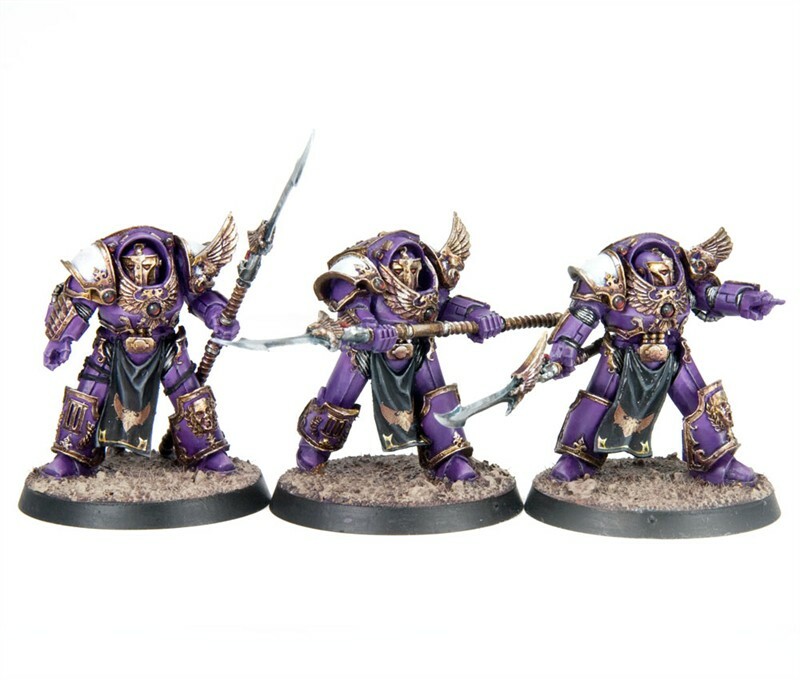 Taking inspiration and title from the legendary bird of ancient Terran myth, the Phoenix Guard of the Emperor’s Children formed an elite cadre within the Legion, serving primarily as the Primarch Fulgrim’s personal retinue. 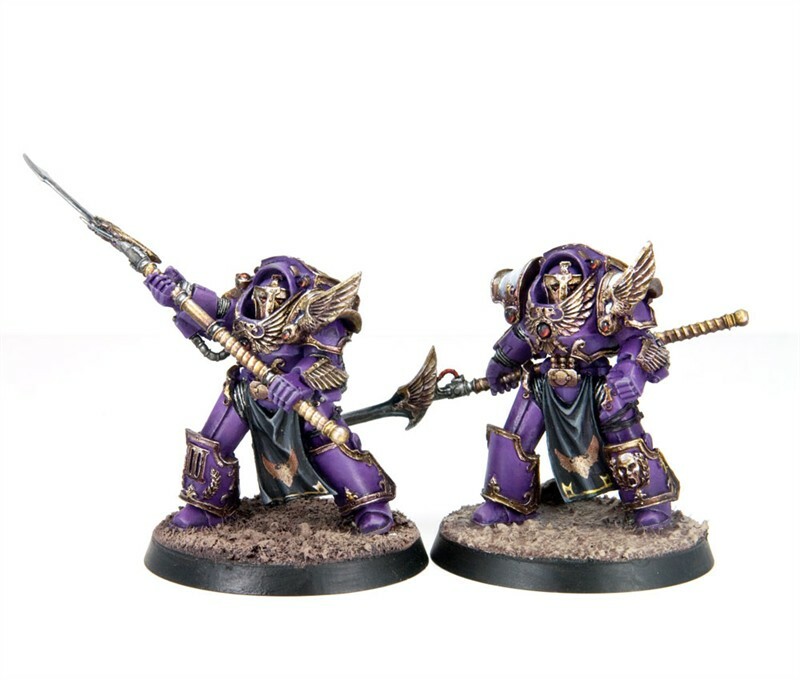 On the field of battle, the Phoenix Guard were storied as providing an impenetrable ring of courage and steel, barring the approach of any enemy who dared challenge their Primarch. 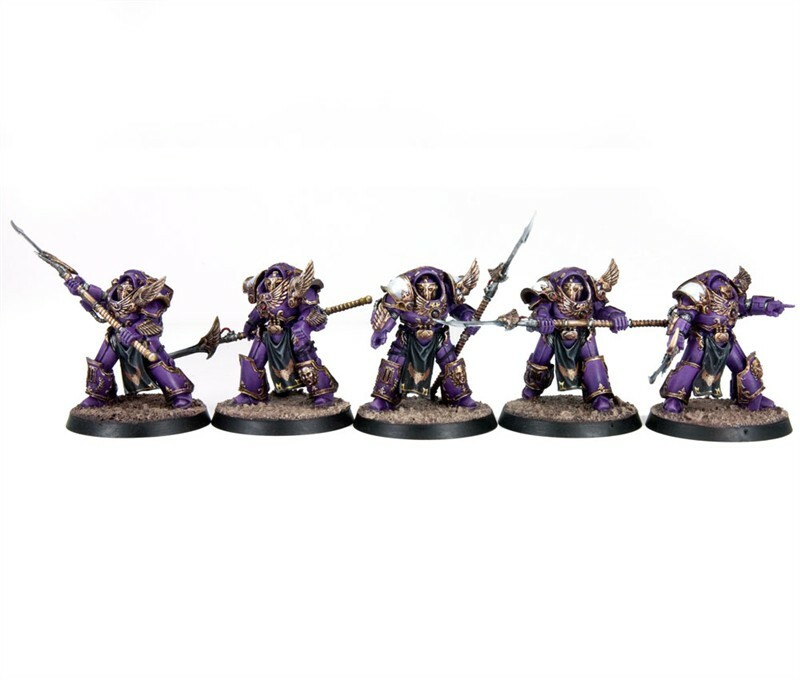 They fought in many spheres of battle, from lightning-swift assault forces to veteran tactical units, but it was their Terminators who were most feared, their martial skill all but unmatched across the Legions. Das Set mit 5 Modellen kostet 45,00 Pfund. 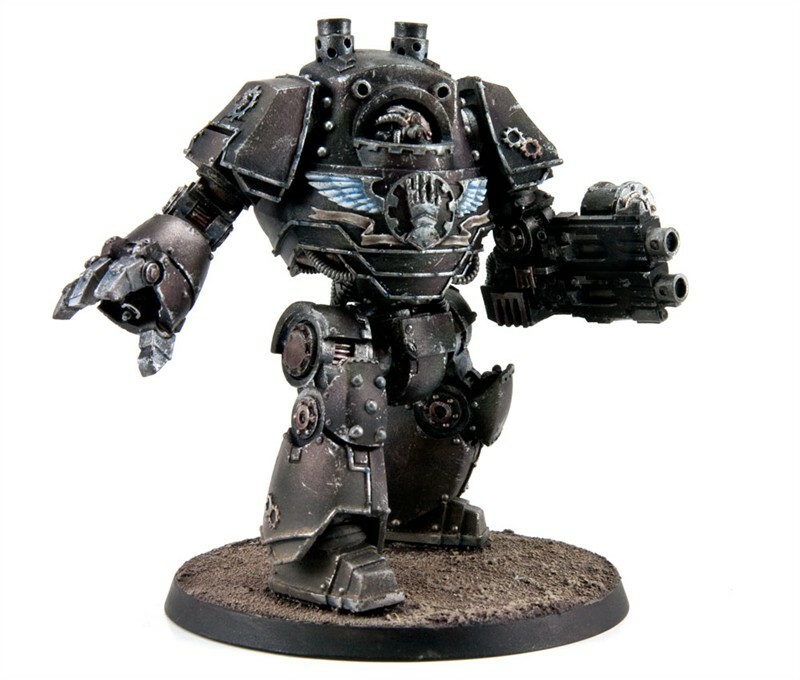 The Contemptor Pattern Dreadnought was once a mainstay of the armoured might of the Astartes Legions of old. 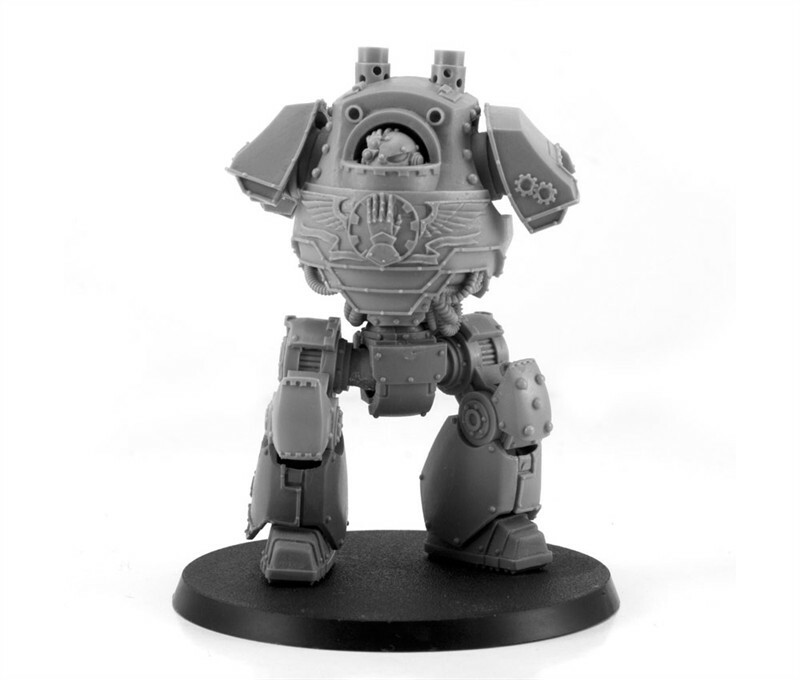 Larger and stronger than standard pattern Dreadnoughts, the Contemptor’s systems featured many examples of techno-arcana steeped in the sacred mysteries of the Legio Cybernetica. 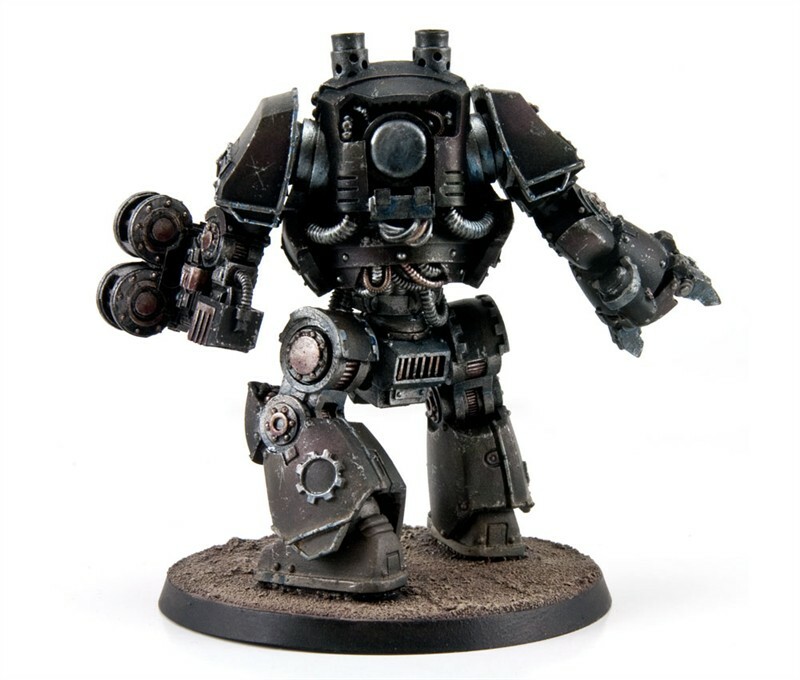 Some chapters still boast these war relics amongst their ranks, and whenever the Contemptor takes to the field of battle, it is an echo of the power of ancient days. Der Contemptor Körper liegt bei 33,00 Pfund. 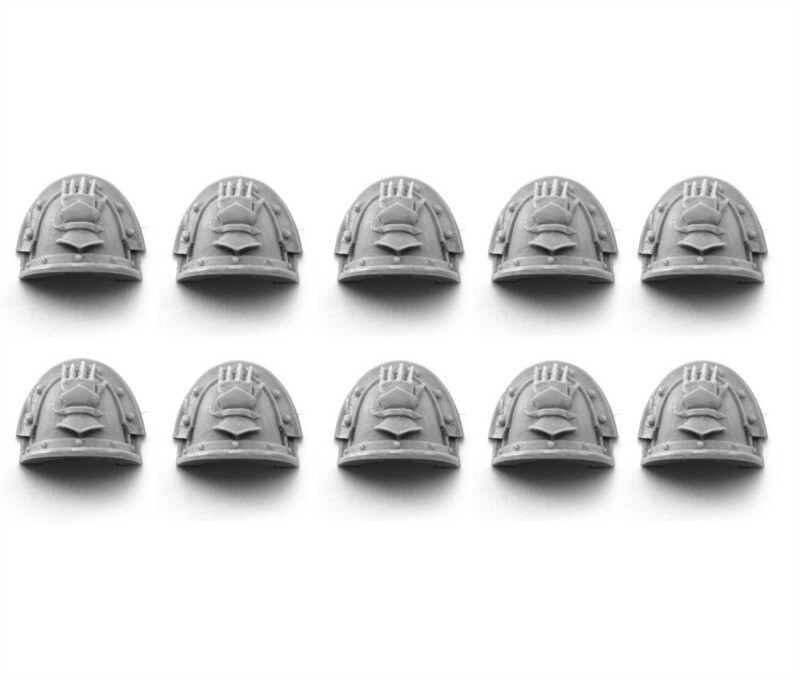 Die 10 Schulterpanzer kosten 9,00 Pfund.